Congrats on the sale floorprawn. Looked like a solid car and can’t beat guards red! Incredible performance from the 911 platform. Faster than a Mclaren P1, 918 etc geez...! Some nice modern features integrated well. Great work Steve! Brake booster sold. Only coolant tank still available. I don’t know anyone who has used it but the basic specs look alright to me. I’ve read that we want a minimum of 1600ppm zinc but I’m not sure on what maximum is counterproductive. 2300ppm is up there. 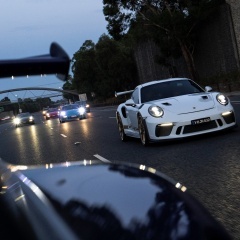 Geez you Melbournites need to stop hogging all the RS Turbos. Share them around with your fellow states. @Ossie - Have Fitzgerald produced five replicas in total now? Hi Rickie As I understand it, if your car is a later model than those listed above (i.e. S2 or later turbo) then you likely have a 25 spline axle. If you fit the range above you should be a 33 spline axle. I recall your car is an NA 2.5L so ‘should’ be a 33 spline (at least from the factory). Hopefully they will work well with my 944 too. Had to snap them up. Thanks Francois! 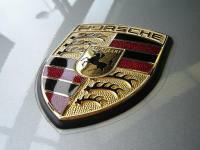 Good to hear Porsche have been cleared over the pass. Another one for the trophy cabinet! I agree Matt Campbell drove an amazing last stint with those fresh tyres. The 911 couldn’t match the grunt of the V12 Aston down the straight so he had to get creative with his pass in the twisty section. Awesome to watch! I will be tuning in again next year. Coolant tank and brake booster housing still available. Prices dropped. Hi Timm Keen to get in touch with you re the A65 poly but your PM box appears to be full/blocked. Shoot me a message when you get a moment. Low km's triple the price... I have always loved that gold colour though. Hi Zacc Will you be indexing the torsion bars yourself? If not then I’d think about the investment to properly setup your new coilovers. I understand it takes several hours to properly index torsion bars. If you delete them I believe you will have greater flexibility and simplicity of adjustment. Could be worth it in the long run. I’d be keen to hear other’s thoughts on how the ride/handling changes with and without torsion bars. Interesting read Bruce. It wasn't a typo in the below sentence? A 400rpm powerband would be ridiculously difficult to drive around, even at Le Mans with high revs on the long straights! " it had bad turbo lag and only had power between 5,300 RPM & 5,700 RPM ,( was designed to have power from 3,000RPM ) "